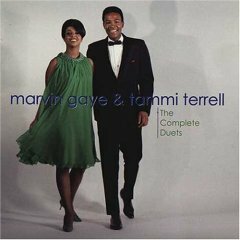 The perfect Motown partnership Marvin Gaye & Tammi Terrell. This the first ever complete collection in a 2 CD set, 53 tracks in all. Taken from three Motown albums, 'United', 'Your All I Need', and 'Easy' together with previously unreleased material, in particular 9 solo tracks from Tammi Terrell. But for the tragic death of Tammi Terrell in 1970 aged 24 years who knows what might have been. Issued on Motown 440 016 402-2 USA.